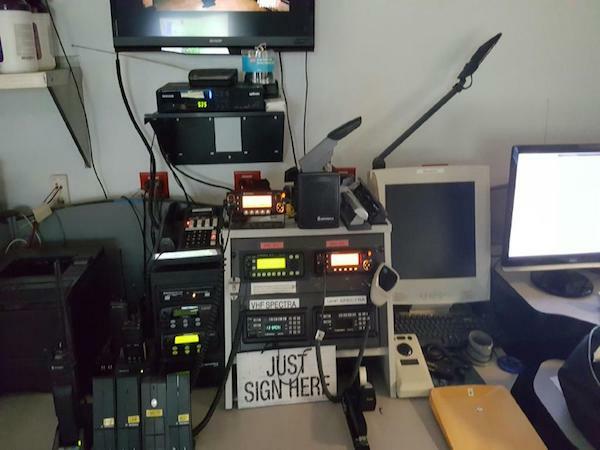 The communication center for University Hospital Emergency Medical Services, acronymed REMCS for the Regional Emergency Medical Communications System of Metropolitan New Jersey, is the telecommunications backbone of the UH-EMS system. REMCS serves as the public safety dispatch point and 9-1-1 medical answering center for the City of Newark, New Jersey. 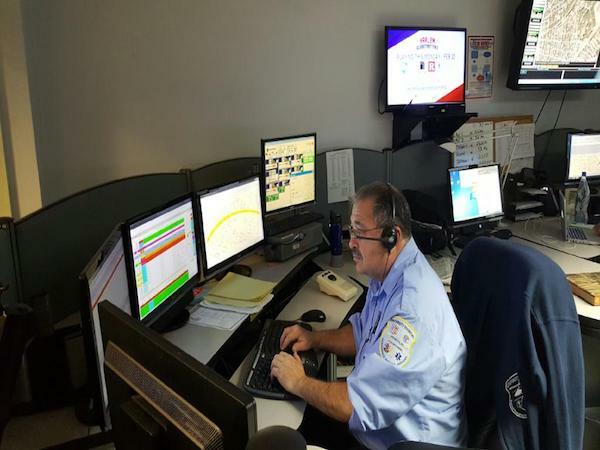 REMCS call takers are responsible for screening and prioritizing all 9-1-1 emergency medical calls originating within the City of Newark, including Newark Liberty International Airport and the New Jersey Marine Terminals. Citywide dispatchers are then responsible for assigning these calls for service to appropriate field units. Medical requests are prioritized utilizing internationally recognized Medical Priority Dispatch ProQA software, which utilizes a standard system of questions to determine the nature and severity of the request. This software also aids dispatchers with providing pre-arrival and post-dispatch medical instructions to callers on how to assist victims prior to the arrival of public safety resources. REMCS is responsible for taking outside agency ALS requests from the cities of Orange and East Orange which are primary coverage areas for the UH-EMS ALS Division and for requests for mutual aid into surrounding municipalities. Supplementing medical dispatch operations, REMCS began providing fire dispatch services in 2006. A dedicated fire service component provides all fire and rescue dispatch services to the neighboring cities of Irvington, Orange, and Maplewood. In 2014, REMCS also began providing dispatch services for EMS within the Village of South Orange. New Jersey State Police JEMSTAR (Shock Trauma Air Rescue) Communications are also based out of REMCS. This includes all call screening, dispatch, and flight following for New Jersey's two primary medevac helicopters NorthSTAR and SouthSTAR. A dedicated air-medical telecommunicator is on duty at all times to receive requests for emergency on-scene responses and for critical care missions. Please see the NorthSTAR section of our website for further information. Primary Dispatch Services to Irvington Fire, Orange Fire, Maplewood Fire, Maplewood First Aid Squad, and EMS within the Village of South Orange. The REMCS/UH-EMS communication system is comprised of several VHF and UHF radio systems with a multitude of redundant radio communication sites throughout the coverage area. In addition to the radio system, REMCS utilizes an alpha/numeric and MDT paging system to provide the timely transfer of information to the field units. To bolster efforts to improve unit safety and reduce response times, all vehicles in the UH-EMS fleet have been equipped since 1998 with a GPS-based AVL (automatic vehicle location) MDT system that monitored by REMCS. Information from this system is displayed graphically on a map of the service area to aid dispatchers in selecting the closest appropriate units for assignments. In 2006 REMCS installed a new state of the art Zoll computer-aided dispatch (CAD) system which incorporates all of the dispatch software packages into one user interface. The new CAD incorporates the internationally recognized Medical Priority Dispatch (MPD) software for screening and prioritizing medical requests that has been successfully used at UH-EMS for over 10 years. This software is also integrated with the inMotion GPS-based AVL (Automatic Vehicle Location) system that was installed in all UH-EMS operated vehicles. The AVL software automatically polls vehicle GPS location. This information is utilized to update unit status within CAD and is displayed graphically of a map of the UH-EMS service area. 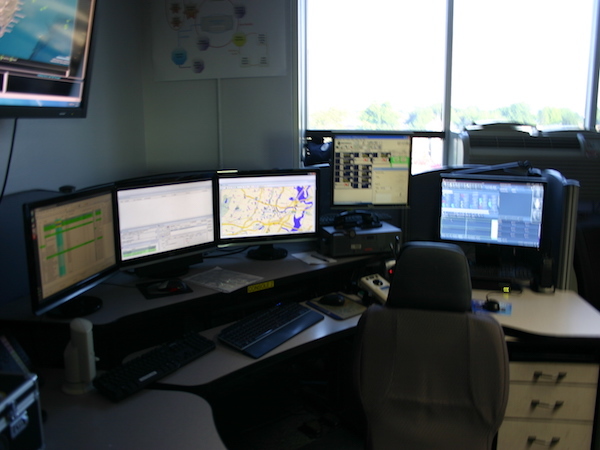 Dispatchers are able to utilize real-time location data and computer recommendations to assign the closest available system resources to any given assignment. This results in an increase in unit safety and reduction in response time. REMCS serves as the medical public safety dispatch point for all 911 requests originating within the City of Newark. Through the stateside enhanced 9-1-1 (E911) system call-takers are provided with the telephone number and address of the caller (ANI/ALI) to help expedite the call screening process. All 911 calls and emergency medical requests originating from traditional 7-digit phone numbers are automatically routed to the Public Safety Answer Point (PSAP) operated by the Newark Police Department. When police call takers identify the emergency as medical in nature or that medical assistance may be needed, such as with assaults and motor vehicle accidents, the call is routed to REMCS for medical screening. REMCS maintains a small component of specialists that comprise the Technical Services Division. These personnel, which may be permanently or temporarily assigned to assist TSD, are responsible for maintaining and supporting the technological aspects of UH-EMS and REMCS. 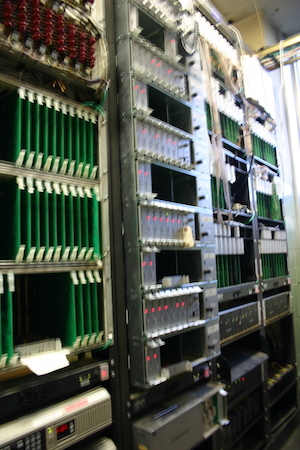 This includes the EMS Radio Systems, the EMS computer network and servers, EMS website, CAD System, SOG/Technology Support Unit, AVL, and alpha/numeric paging systems.